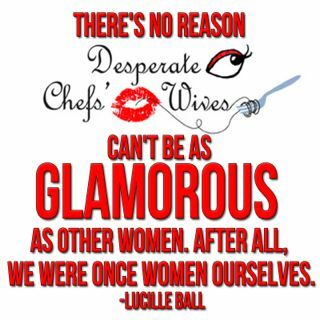 Desperate Chefs' Wives: That Must Be So Nice! I'm sorry that I have not written recently. (However sad, but true I have to say that my therapist would be upset with me for opening this up with an apology, but there it is and there it stays)Back to the matter at hand. 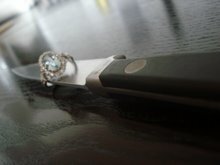 Have you other chefswives noticed that when you tell people what your husband does their reaction is surprising and silly? I have. The moment that I tell people my husband is a chef I brace myself for the barrage of comment that follow. Them: "What does your husband do?" Them: "...But you're so skinny!....Oh really?....That must be so nice! 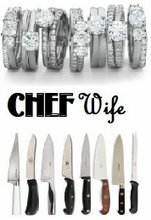 ....Does he cook for a lot?....Wow!....I wish I could get my husband to cook....Does he criticize your food?....And he works in NY so he must work at a *fancy* restaurant...etc. " And my reaction is always the same: a half-hearted smile and sigh that comes out sounding like, " Yes, I suppose." But what is the media telling to the general public about chefs? People have this image of a handsome man in sharp whites and a 12 inch toque who rubs elbows with rich *fancy* people in a white tablecloth clad *fancy* restaurant who comes home to cook me a five course menu for dinner of quail and egg caviar. That my friends, is an anti-reality. Non existent. It never will. Not only do others suggest such ridiculous falsities but its also the lack of excitement for your own career that stings. Second grade teachers are interesting people too. Haha! Yeah, just because we eat a lot doesn't mean we have to be popping out of our pants. Its called CARDIO (and good genes).